Access to an emergency food supply is crucial for long-term survival after a catastrophe. Not everyone believes in The End Times, or The End of the World As We Know It (TEOTWAWKI) becoming a reality anytime soon, if ever. But doesn’t it just make sense to have a 1 or 2 year supply of food for everyone in your family on hand in case of some type of emergency situation? The global economy has never been worse. People that were sure they would have a job for life are finding themselves unemployed. Natural disasters in recent years have reached epic proportions, and their frequency is alarming. Terrorism, nuclear accidents, an electrical grid shutdown … compiling an emergency food pantry is smart for a lot of reasons. And you can do it quickly and efficiently, without putting a stress on your budget. Seriously, this sounds like a no-brainer, but you should not just run out and start buying things. Sit down with your family and make a list of favorite meals. Then break down what goes into those meals. This will form the basis of your emergency food pantry list. Update it frequently, adding and removing recipes and food items as you go. Remember to focus on canned and dried goods, since electricity may not be available to power your refrigerator and freezer after a widespread disaster. The time for computation is at hand. Let’s say your family would enjoy eating your famous broccoli chicken casserole once a month. Take the required food items to prepare the dish and multiply them by 12. Do this until you have figured for all the required number of meals for 1 year. If you do not want to be this specific, head to the web. Plenty of free sites help you estimate how many pounds of certain foods are required for different numbers of individuals for 1 year. Make a master list, and give copies to every shopper in your family. 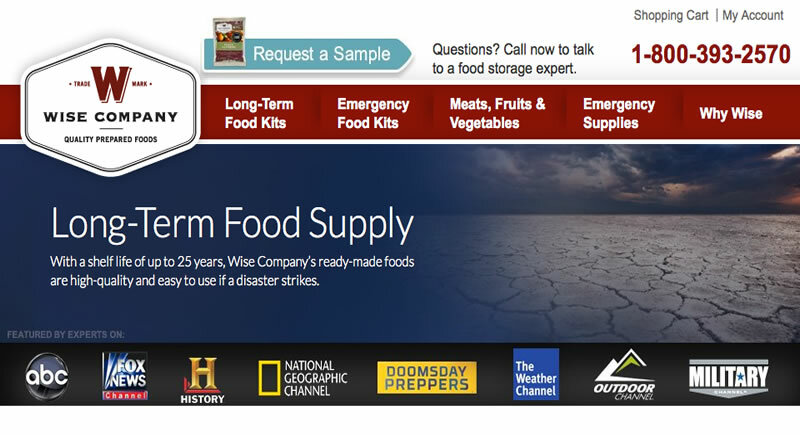 Sites like The Ready Store have food, water and shelf life calculators to assist you in figuring out the quantities you need. You just click on ‘Ready Resources’ towards the top of the page and you will be directed to their selection of calculators. You can also shop large discount stores like Sam’s, Costco and BJ’s, saving several weeks of money for one shopping trip. Just remember to start small if you plan to shop weekly. Just $9 can buy a bag of beans, a bag of rice, 1 can of tuna, a box of dried pasta and a can of chicken. 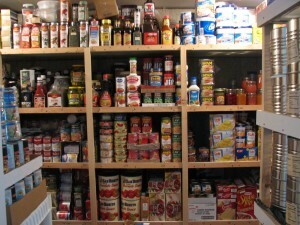 That’s a nice start to your emergency food pantry. Roll over any change from one week to the next, adding it to your $9 base. If your argument is that you do not have the needed space for an emergency food supply, you are probably wrong. Get creative. Fill storage bins with canned and dried food and slide them under your bed. That area alone could provide 10 or 20 square feet of food storage. There is usually wasted space under other furniture as well. Just remember to store your food in dry, low humidity areas. 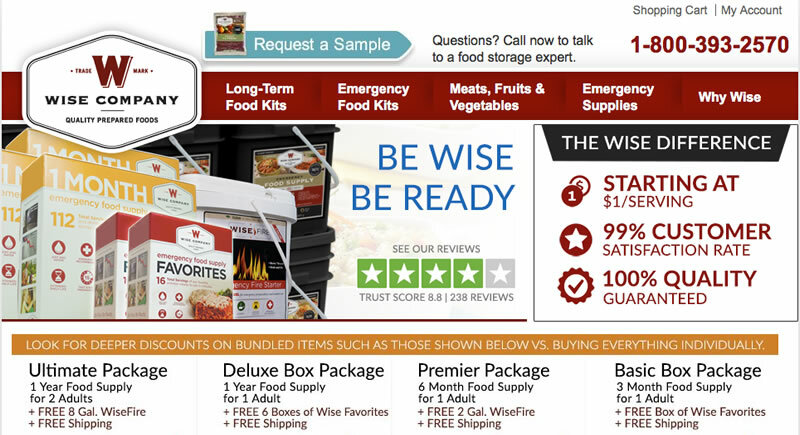 Remember, at $9 a week, in just 12 to 18 months you can store enough emergency food for 2 adults for 1 year. Change that weekly total accordingly if you have to account for other adults, children and pets. And after you have reached the magical 1 year emergency food supply, why stop there? As long as you have room, keep preparing for the worst and praying for the best. 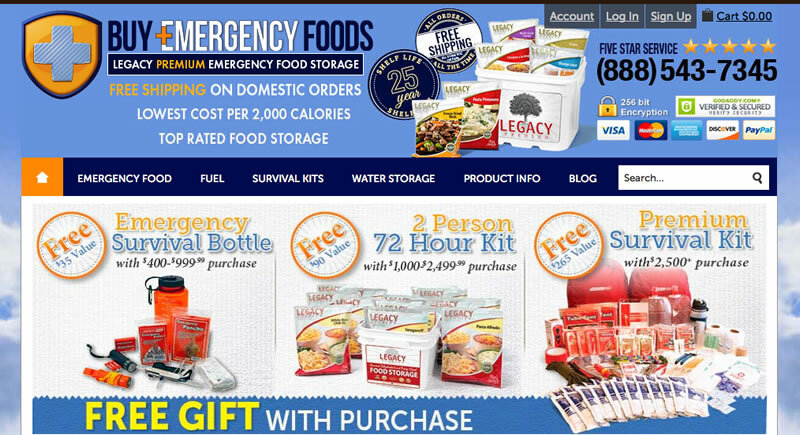 For those of you that already have a dedicated budget for survival prepping, there are a number of trusted and reputable emergency food companies that provide a variety of food kits and supplies, prepackaged for use during survival situations.